At a meeting Thursday night, San Juan County commissioners and the Silverton Town trustees said they both plan to pursue Superfund status to treat pollution leaking from the area’s inactive mines. SILVERTON – After more than 20 years of debate, the town of Silverton will officially engage the Environmental Protection Agency to work toward listing the mining district in the Upper Animas watershed as a Superfund site. Thursday night, San Juan County commissioners and the Silverton Town Board trustees said a motion will be presented at those agencies’ next respective board meetings to direct staff to pursue the EPA’s hazardous cleanup program. On the heels of a three-day tour of several Superfund sites in Colorado, Silverton officials were convinced the federal agency’s program was the only avenue to truly improve water quality in the Animas River basin from pollution leaking from inactive mines. Initially against a Superfund designation, San Juan County Commissioner Ernie Kuhlman said last week’s field trip to Creede, Leadville, Minturn and Idaho Springs led him to appreciate Superfund status. “I’m not thrilled with Superfund sites, but I’ll tell you what, you’re not going to get anything done if you don’t,” he said. Buried under almost 2 feet of snow in Silverton’s historic Town Hall, about 40 attendees seemed to reach a general consensus: Superfund, with its definite drawbacks, is the only real, viable option. Tookie said the county looked at other alternatives to treat the mine waste water, but ultimately, hit a “brick wall.” He admitted Superfund is a slow process, but because the EPA triggered the Gold King Mine spill, he expects the region to be placed higher atop the priority list. The question whether the mining district north of Silverton should be designated a Superfund has loomed over the community for more than 20 years, as inactive mines have increasingly leaked acid mine drainage into the Animas watershed and down to San Juan River in New Mexico, impairing water quality standards. 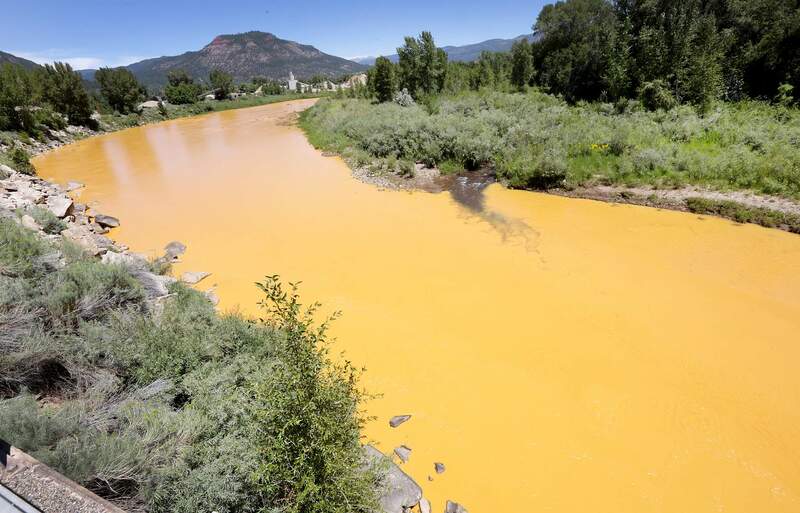 But in August when the EPA triggered 3 million gallons of backed-up mine wastewater from the Gold King Mine, effectively turning the Animas and San Juan rivers orange for several days, the issue of cleanup from inactive mines rose to the forefront of public discourse. Last week’s tour, which brought together representatives from nearly all the downstream communities, was eye-opening for a lot of officials. Though those communities laid bare all the complications with the designation – time delays, difference of opinions over treatment options and mistakes – each one was ultimately happy with the end result: a clean, healthy river. “My takeaway from the visit is that there are probably not many options to take care of this problem without going to a Superfund designation,” La Plata County Commissioner Brad Blake said. “That’s just what you come away with. ”Thursday night was a pivotal turning point in that conversation, especially since the EPA and state officials said last week the Superfund boundary would not extend to the town limits of Silverton – a major concern from residents in years past. Larry Perino, a Sunnyside Mine spokesman and Silverton native, maintained that if Superfund is pursued, the mining company – a potential responsible party – will immediately go to litigation. But outside of Perino, there wasn’t much opposition. Silverton officials and residents, previously skeptical of Superfund, voiced support for the designation. “I think that Superfund money is a store of money we have available to us to do what’s necessary up in Cement Creek,” said John Wright, a Silverton resident and geologist. San Juan County Commissioner Scott Fetchenhier couldn’t stress enough that the long-standing problem of acid mine drainage was thrust into the spotlight as the image of an orange river caught national attention, and as a result, could no longer be ignored. Marcie Bidwell, executive director for Mountain Studies Institute, said Thursday night was not only a turning point for the health of the Animas River, but also for the town of Silverton.